Our Olympic Basketball Medals make your star players feel like a Champion! 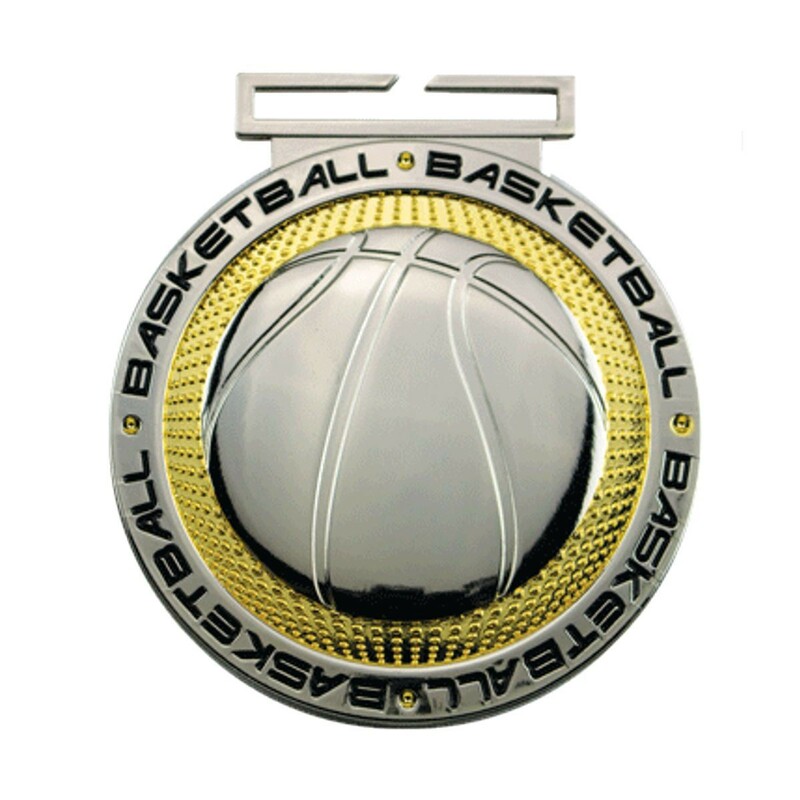 At 3" in diameter, these premium basketball medallions feature dual plating of silver chrome and gold accents. They feature a giant basketball in the middle with the BASKETBALL text ringing the edge of the medals. The back includes 5 lines of your custom engraving for FREE! 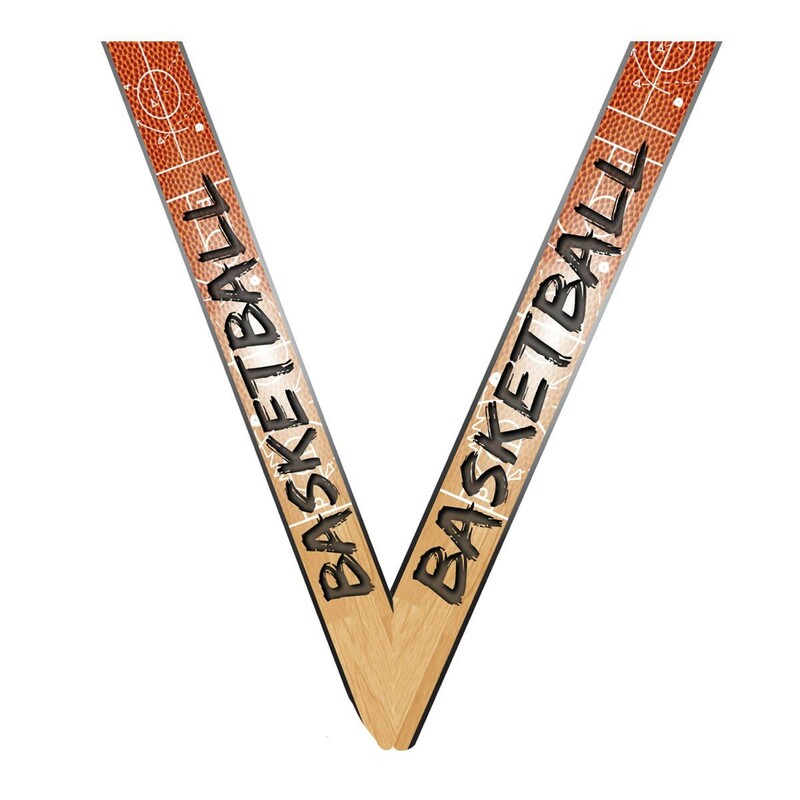 Includes a flat, slip-in Olympic-style neck ribbon in your choice of basketball print, or stock colors of red/white/blue stripe or solid blue, red, white, black and green.